IRS Form 911 – This form is used for requesting assistance from the Taxpayer Advocate’s (TPA) office in your local area. 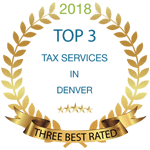 Taxpayer Advocate’s can be helpful when you are trying to work with the IRS but are not getting anywhere. This does not mean that the TPA’s office can go around the guidelines and rules the IRS has, it just means they can act as a mediator between you and the IRS to help move the process along.